MBS-410 Series Handheld Searchlights are lightweight and portable. All searchlights include a remote port for optional remote control of all light functions. 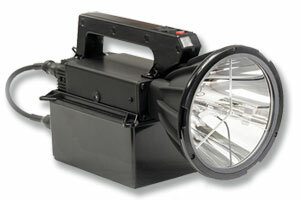 As of 6/1/13, all MBS-410 Series Searchlights now feature spyder lenses.